Lofthellir Lava Cave is located in Lake Myvatn. Start your trip to Lake Myvatn by creating a personalized itinerary on Inspirock. Tours of this cave are exclusive to Saga travel (who I can thoroughly recommend for all your Nth Iceland tour needs). This is a once in a lifetime experience. We went in winter and after a 45 minute hike through the snow you come to the cave. The entrance is very intimidating as it is a crevice the width of a human body and you literally have to wriggle and squirm your way in through the small crack. So psych yourself up! Our guide promised us that it wasn't as bad as it looked and he's right - it's more a matter of getting your claustrophobia under control. But prospective visitors should be aware that some overweight people have got stuck in the past and some people have completely refused to crawl through the entrance crack. Once you are inside the cave there is some crawling on hands and knees to be done as well as hauling yourself up crevices with ropes until you can finally stand up. 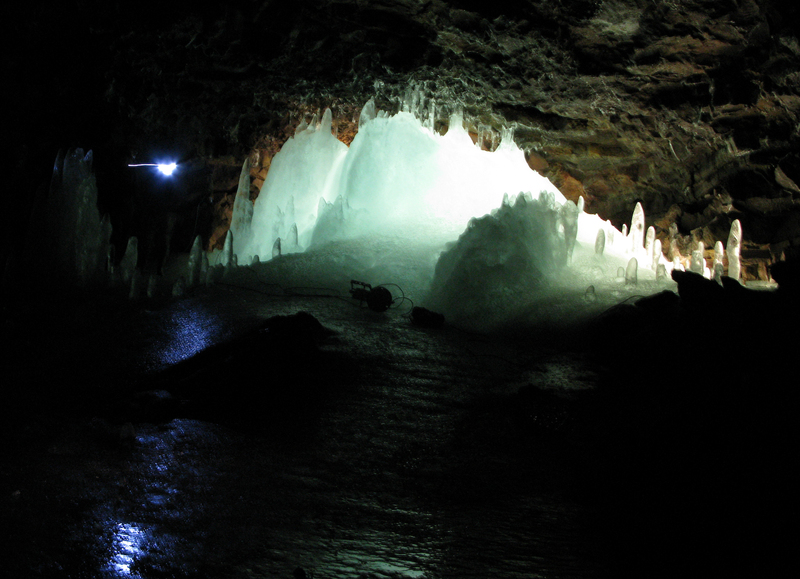 The cave is beautiful - icicles are everywhere and the experience is well worth it. This is a place the average tourist doesn't visit so I really recommend it. Unable to reach cave without going through the one particular expensive tour company. There are other caves in the area that you may access that are cooler and do not require a guide and price. You can only visit with one tour company but it's a brilliant experience! You'll get a wet bum and hands from crawling and sliding over ice as you make your way deep into the cave, but spectacular natural shapes await you... I won't say any more, go see for yourself! Vous ne pouvez pas aller dans cette grotte par vous-mêmes. Il faut payer un guide chez Saga travel. Les prix sont exorbitants! La piste en 4x4 pour atteindre l'entrée de la grotte est horrible. Il y a quelques passages difficiles pour atteindre le fond de la grotte mais le guide vous aide beaucoup. La grotte est très belle. C'était une bonne expérience ! You can not go in that cave for yourself. You pay a guide at Saga travel. The prices are exorbitant! The track in 4 x 4 to reach the entrance of the cave is horrible. There are a few difficult passages to reach the bottom of the cave, but the guide will help you a lot. The cave is very beautiful. It was a good experience! Every day, we help thousands of travelers plan great vacations. Here are some tips on how to use your Listing Page to attract more travelers to your business - Lofthellir Lava Cave. Promote your permanent link - https://www.inspirock.com/iceland/lake-myvatn/lofthellir-lava-cave-a4136841079 - on your website, your blog, and social media. When a traveler builds a plan from this page, the itinerary automatically includes Lofthellir Lava Cave. This is a great way for travelers looking for a great vacation in your city or country to also experience Lofthellir Lava Cave. Promoting your link also lets your audience know that you are featured on a rapidly growing travel site. In addition, the more this page is used, the more we will promote Lofthellir Lava Cave to other Inspirock users. For best results, use the customized Trip Planning Widget for Lofthellir Lava Cave on your website. It has all the advantages mentioned above, plus users to your site can conveniently access it directly on your site. Visitors to your site will appreciate you offering them help with planning their vacation. Setting this up takes just a few minutes - Click here for instructions.